Real estate investor Arun Nijhawan has announced he plans to renovate Atlanta’s Flatiron Building, a 117-year old icon located on the Georgia State University campus. He says he will transform it into a start-up incubator by the end of the year. The renovations are estimated to top $10 million, and Invest Atlanta has offered a $1.5 million loan to help with costs. Nijhawan told the Atlanta Business Chronicle,“Entrepreneurs are the growth engine of this economy. We need to create infrastructure to support them.” He hopes renovating the structure will encourage entrepreneurs to work together and share ideas. 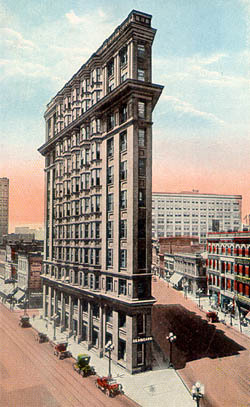 The Flatiron Building, the city’s oldest skyscraper, is no stranger to developers with startup interests. Last year, Scoutmob co-founder Michael Tavani considered renovating it for his own startup incubator. Tavani eventually passed on that space, but is expected to announce the site of his own incubator—likely a location in Midtown Atlanta—in the coming weeks. Stay tuned.